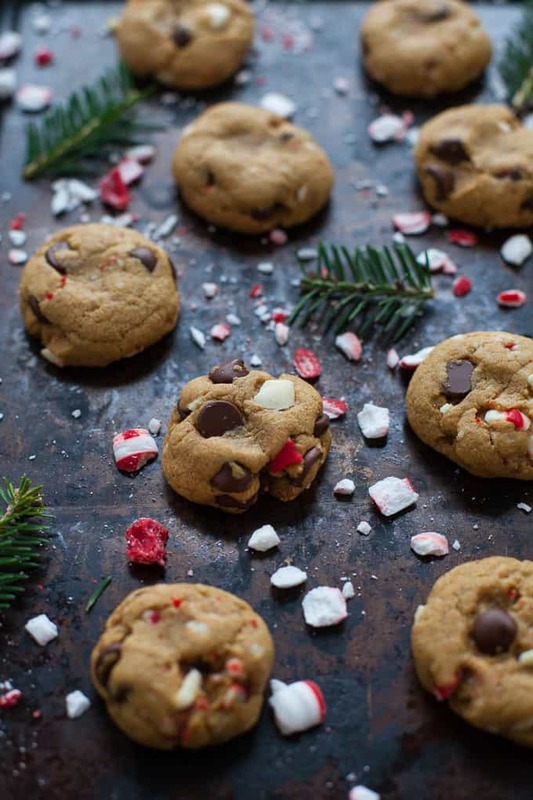 Delicious treats for the holidays! 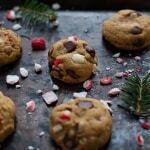 These easy peppermint dark chocolate chip cookies are made with whole-wheat flour and are perfectly festive for a holiday cookie swap! Hi, friends. I’ve been so lucky to work with an amazing intern these past six months, Michaela, and I’m excited to introduce you all to her today! 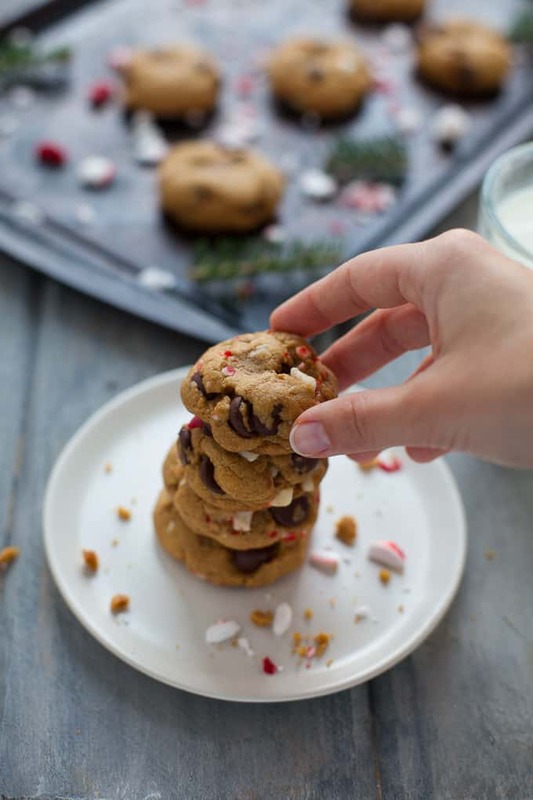 She’s been working behind the scenes at TFD, helping me with social media and various projects but today she’s peaking out from behind the curtains and sharing a delicious holiday cookie recipe with ya’ll. Keep an eye on Michaela – I know she’s going to accomplish some amazing things in the future! I also want to wish each and every one of you a happy holiday season filled with peace, joy and lots of cookies. Take it away, Michaela! Hi everyone! I’d like to start off by thanking Kara for an unbelievable internship experience, and for allowing me to do a guest post for her blog! 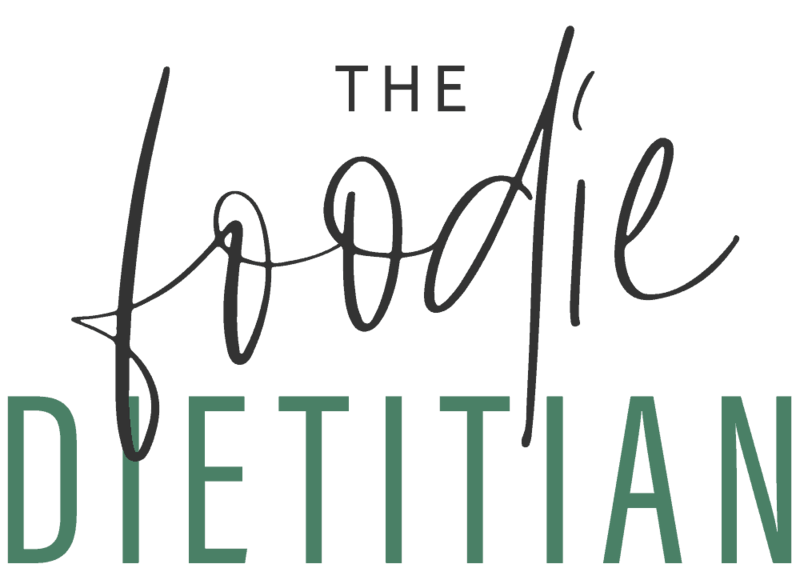 The past six months, I have been fortunate enough to help Kara with recipe testing, photo shoots, and recipe round-ups, all while learning the ins and outs of all the different social media platforms. She has taught me so much, and I am so glad to have her as my mentor. 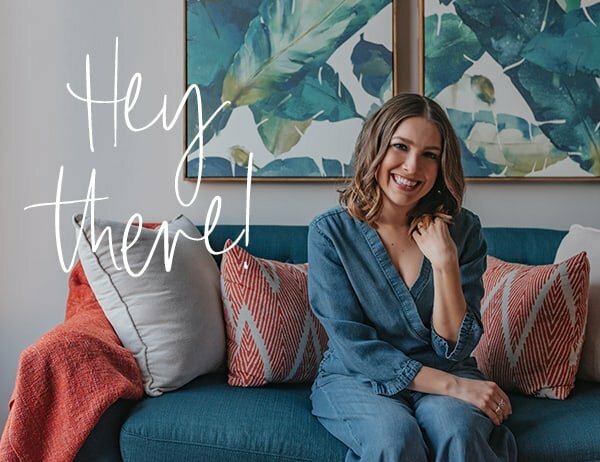 I have been thinking about this guest post since Kara mentioned it during our very first meeting. As a nutrition major and personal trainer, I tend to eat healthy most of the time. 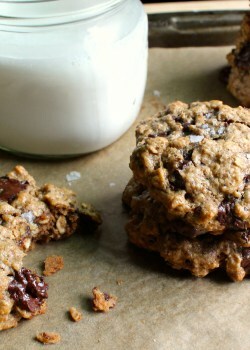 However, I have a giant sweet tooth and love to indulge in cookies! 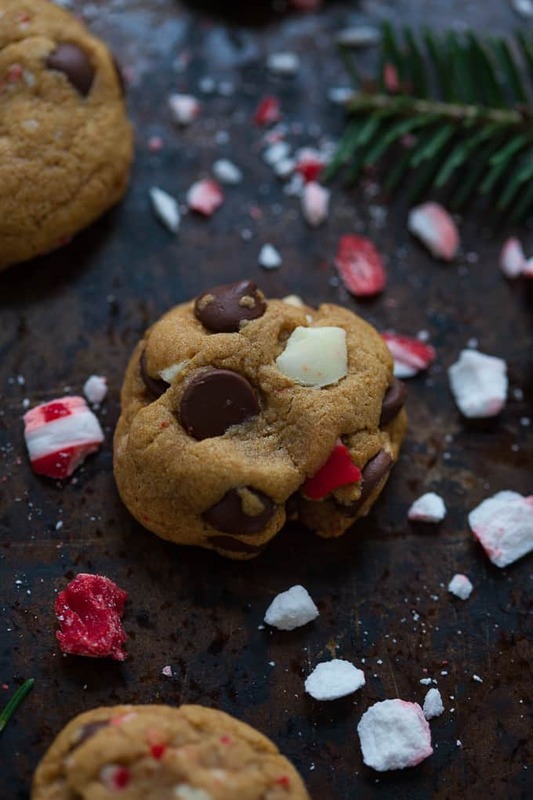 Now I knew that posting for Kara would mean that I needed to go beyond my classic chocolate chip recipe, so I decided to make it festive for the holidays with a little peppermint twist. 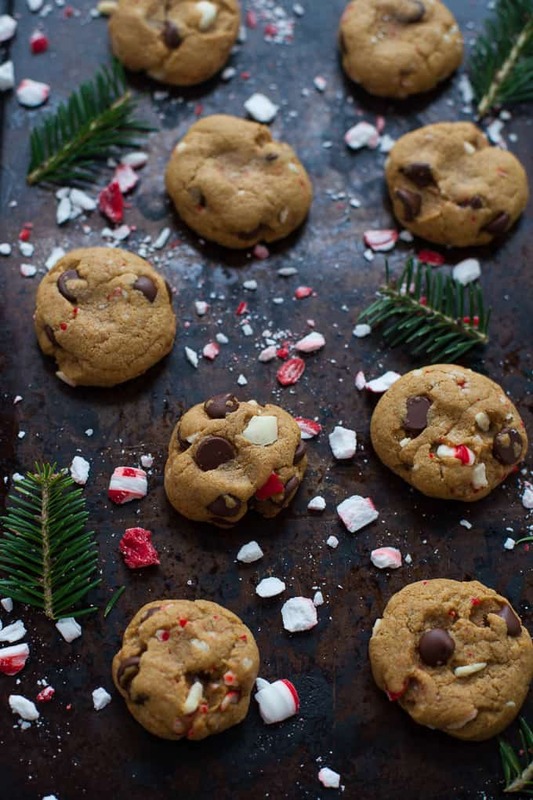 I don’t know what it is about peppermint and chocolate but the two were a match made in heaven if you ask me. 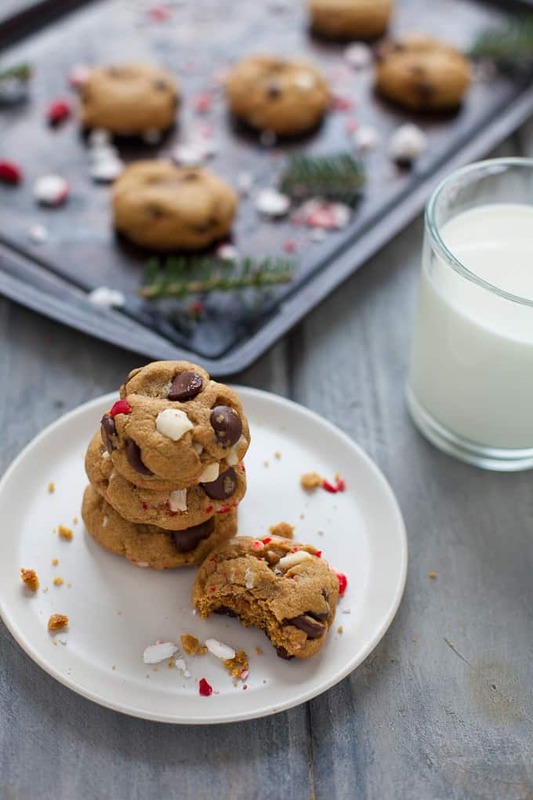 No holiday party is complete without a big batch of cookies, and this recipe will be sure to impress your guests. 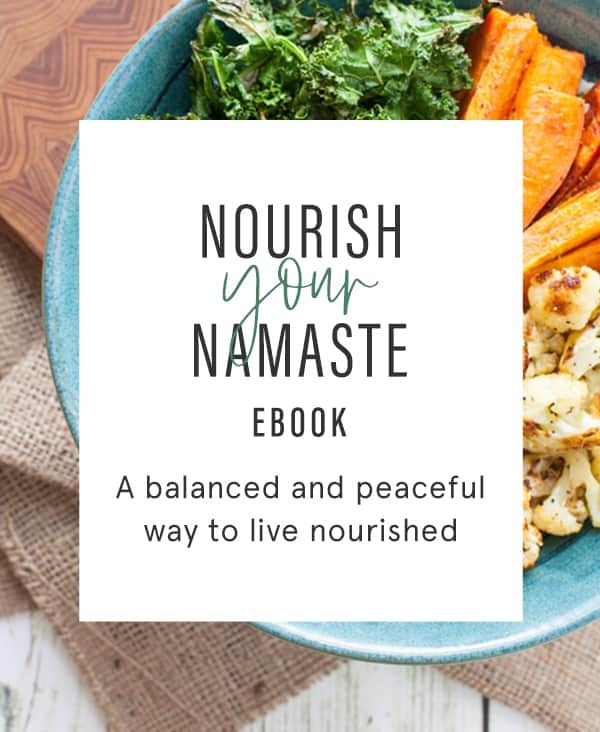 I used dark chocolate chips in this recipe, not only because I think they taste better, but also because dark chocolate is loaded with antioxidants. The white whole-wheat flour also has more fiber than regular all-purpose flour. In a large bowl or a stand mixer, add butter and brown sugar and beat on medium speed until light and fluffy, about 1 minute. Add in the egg and vanilla extract, and mix at medium speed for another minute. Add in the flour, baking soda and salt and mix until just combined (on low speed if using stand mixer). 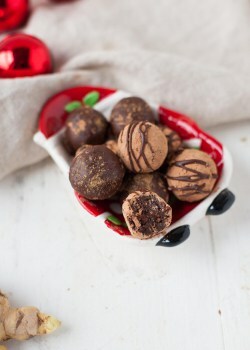 Stir in the chocolate chips and crushed peppermint using a wooden spoon until evenly distributed. 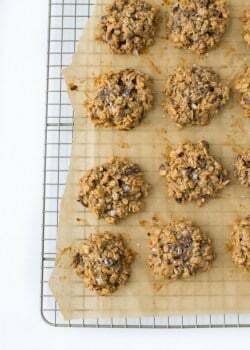 Using a cookie scoop or your hands, roll into balls about 2 tablespoons in size and place 2 inches apart on non-stick cookie sheet. Bake for 8-10 minutes, or until edges of cookies are golden brown. 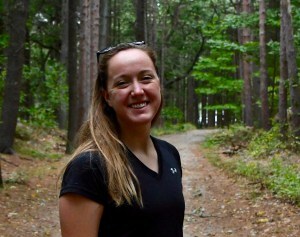 Michaela is a junior studying Nutrition and Health with a concentration in Exercising Populations at Boston University. In her free time, she loves to take spin and boxing classes, try new restaurants, and explore nature with her dog Bear. She currently holds her NSCA-CPT, and plans to continue her education in exercise science. 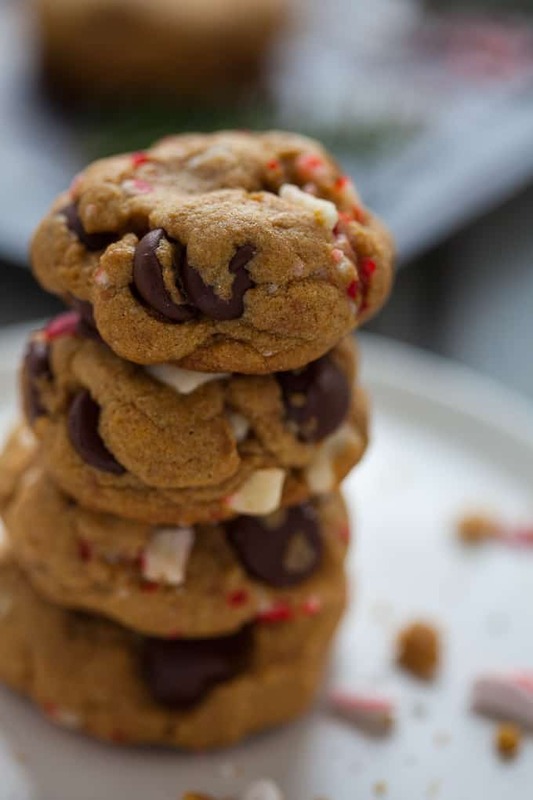 For more cookie inspiration, check out my recipes below! i used whole wheat pastry dough and they spread out, were very thin, tasted delish though! Glad they still tasted delish!! These look so fun and seasonal. I imagine they must get gobbled up fast any time that you make them. Oh, for sure 🙂 Thanks, Vince!